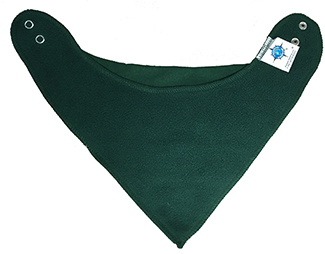 Infant Bandana Bib from Creative Knitwear features a very soft fleece on the inside and a soft, absorbant cotton jersey on the outside. 100% cotton. 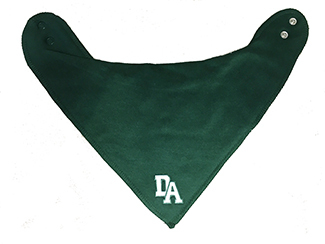 DA logo applique on front. Drool is cool with this fun style! 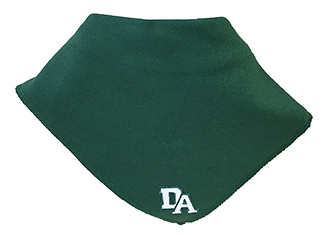 One size fits most with 2 snap adjustments at back.